Settled into the drowsy village life of Laddenham, where she is playing camp follower to her highly successful husband, Clare Paling – clever, agnostic and curious – discovers that small communities offer interesting sideshows of adultery, gossip and carefully adhered to pecking orders. It takes the pageant celebrating the church’s fourth centenary and an unpardonable death to remind Clare, who had almost forgotten, that the world is a very uncertain place. "A beautiful and brilliant short novel…the story is never less than enthralling. Mrs Lively has a rare wit and independence of mind; everything she says is worth saying, well said and thoroughly congenial. I wish she would write more." 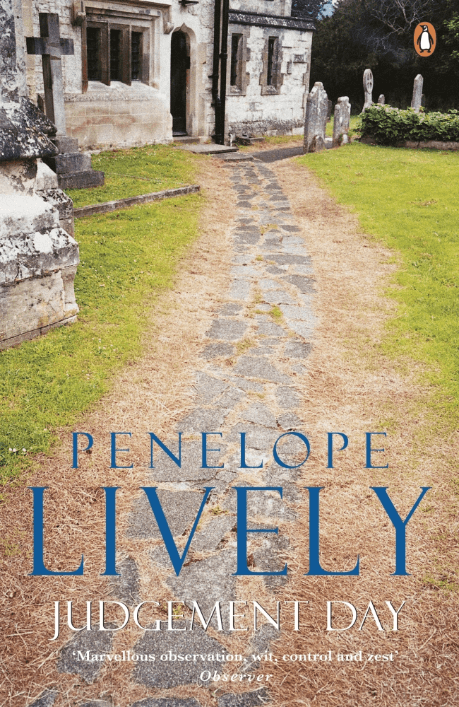 "I find Penelope Lively almost excessively gifted as a novelist and consider JUDGEMENT DAY to be the most enjoyable novel I have read for a very long time indeed." "She is indeed marvellously accurate, catching again and again with perfection the nuances of England and the English today."